Don't let your money go down the drain. 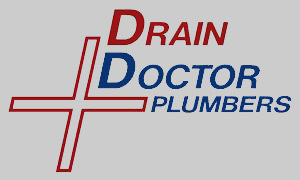 Drain Doctor Plumbers is a plumbing services company serving Lake county, Orange county, Seminole county, Orlando and Central Florida. DON'T LET THE BIG ROOTER COMPANIES MAKE YOU WAIT FOR A TECH TO SHOW UP TO GIVE YOU A PRICE! or see our PRICE LIST PAGE. *WE PRICE MATCH THE COMPETITION. WE NOW OFFER VIDEO DRAIN PIPE INSPECTION, DRAIN PIPE LOCATING AND MINI JET PIPE CLEANING SERVICE. Orlando, Apopka, Azalea Park, Bay Lake, Bay Hill, Belle Isle, Conway, Collage Park, Dr. Philips, Eatonville, Edgewood, Lockhart, Maitland, Mt. Plymonth, Ocoee, Pine Hills, Sorento, Taft, Windermere, Winter Garden, Winter Park, Zellwood, Altamonte Springs, Casselberry, Chuluota, Fern Park, Geneva, Heathrow, Lake Mary, Longwood, Oviedo, Sanford, Winter Springs. Astaula, Clermont, Eustis, Fruitland Park, Groveland, Howey-in-the-Hills, Lady Lake, Leesburg, Mascotte, Minneola, Montverde, Mount Dora, Tavares, The Villages, Umatilla. Click here to visit The Orlando Business List! Commercial Plumbers, Master Plumbers, Orlando Plumbing Service, Florida Plumbing.